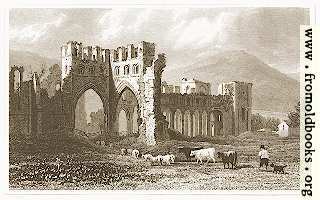 Drawn by H Gastineau, Engraved by H. W. Bond. 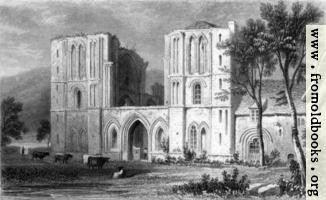 The Abbey now seems to be a hotel. 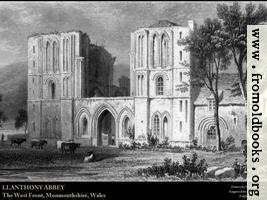 This engraving shows the ruins of Llanthony Priory in Wales. 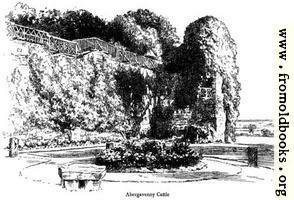 I have left the sepia tint from the old ink and paper. 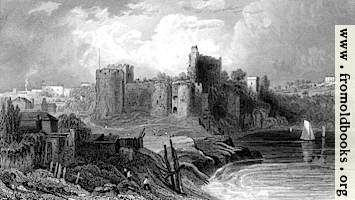 A cropped and resized version of Plate 18 for use as a dekstop background image. 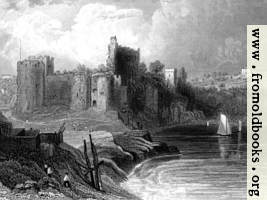 This is a detail from the Chepstow From the Bridge engraving, sized suitably for a background. 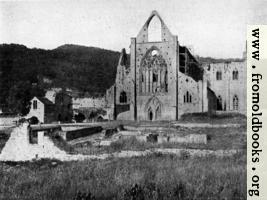 A ruined abbey in South-East Wales. 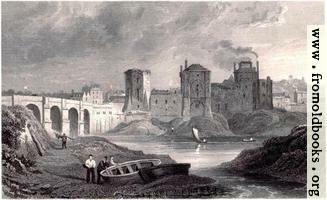 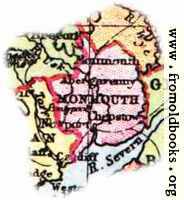 Taken from the map of England and Wales on page 2237. 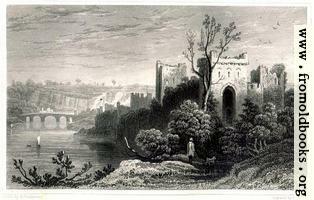 Drawn by H. Gastineau, Engraved by S. Lacey.